Monday night there was a rustle of programs and quizzical looks across the audience as The Chicago Sinfonietta began their 2nd number. There was nothing in the billing about circus arts, but the surprise guests of the evening stole the show and provided a lovely example of collaboration in the arts and the theme of the evening, Performance. Art. 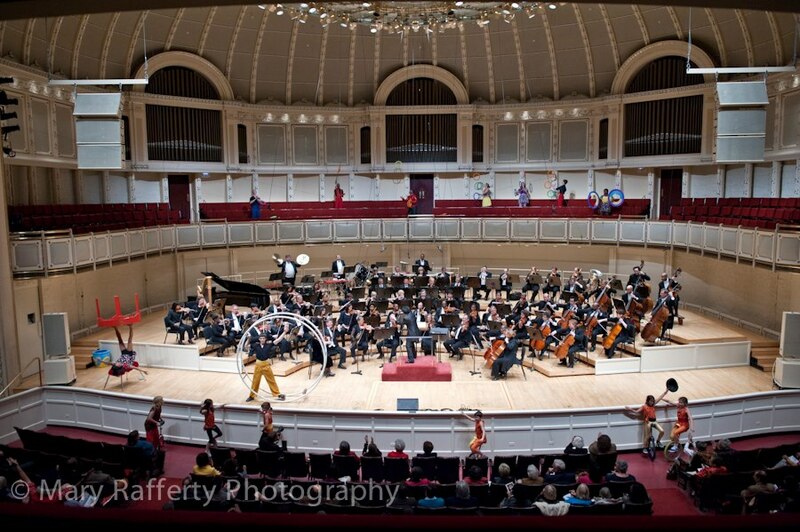 Unicyclists careened down the aisles of Symphony Center and jugglers materialized in the balcony and wings. 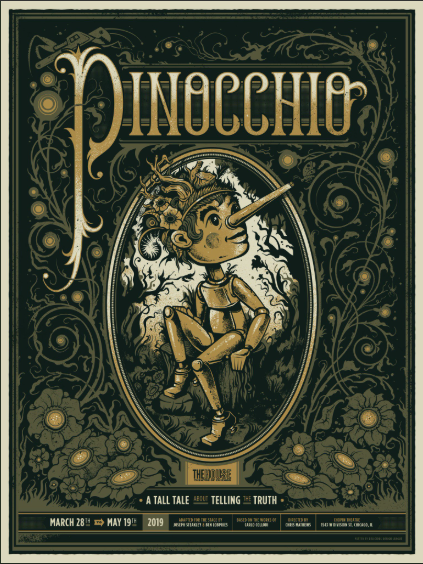 ChiIL Mama's own 9 year old daughter flipped upside down into a bridge and crab walked across the stage in front of the orchestra, while adults foot juggled a table and large pot, and stilt walked. A teen rolled out in a giant, metal gym wheel, and the audience was treated to Performance. Art. indeed! 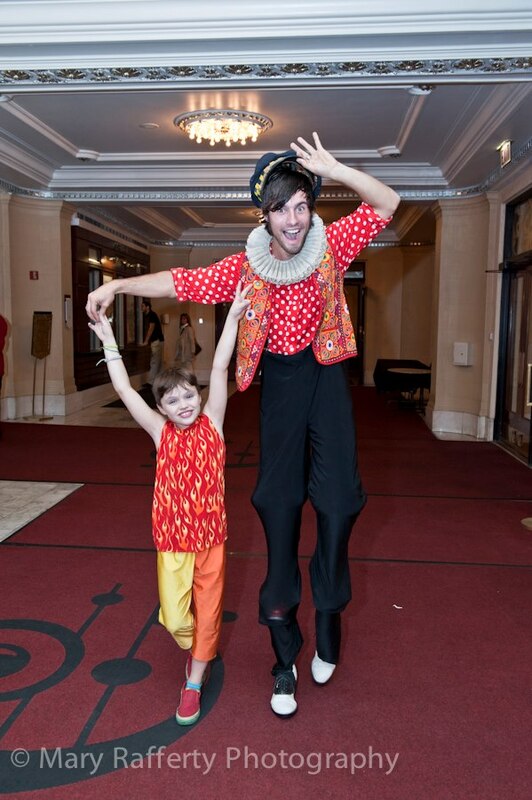 The surprise guests of the evening were the uber talented kids and staff of Chicago's own CircEsteem, including ChiIL Mama's own kids, Du-Jay (11) and Sagezilla (9). The performers were under the radar, and the applause was off the charts. The Chicago Sinfonietta opened its 25th Anniversary Season with a concert called Performance. Art, featuring lively guest musicians, the New York-based jazz-hybrid ensemble PROJECT Trio. The concert took place Saturday, September 29 at Wentz Concert Hall in Naperville and Monday, October 1 at Symphony Center in downtown Chicago. 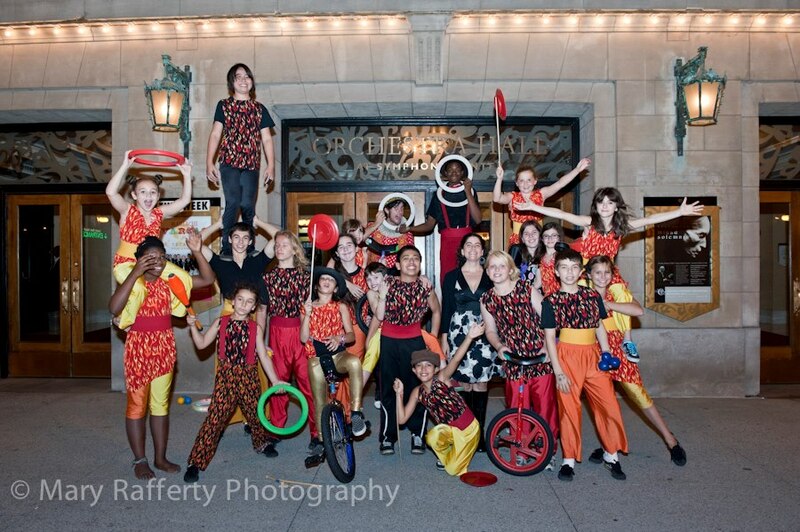 The performers from CircEsteem were special, surprise guests for both the Naperville and the Symphony Center concerts. PROJECT Trio was also a joy to see live. They brought an unbridled enthusiasm and rock star esthetic to their pieces. The talented trio even sited Jethro Tull as one of their influences and did their own version of merging classical and classic rock. The official press release for the evening along with links to further information on The Chicago Sinfonietta and CircEsteem are below. The Chicago Sinfonietta’s milestone 25th Anniversary Season opening concert, titled Performance. Art., features a unique collaboration with the Brooklyn-based, high-energy chamber ensemble PROJECT Trio (Greg Pattillo, Peter Seymour and Eric Stephenson). 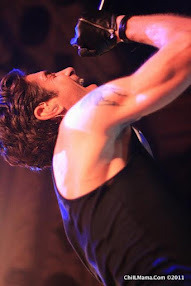 Blending their classical training with a wide array of musical styles, including jazz, hip-hop and rock, PROJECT Trio’s virtuoso performers use their passion and versatility to make an impression on audiences of all musical tastes. Performance. Art. will be performed at Wentz Concert Hall,171 E. Chicago Avenue in Naperville, Saturday, September 29 at 8 pm and at Symphony Center, 220 S. Michigan Avenue in downtown Chicago, Monday, October 1 at 7:30 pm. Chen opens the concert with a distinctive variation on Johannes Brahms’ one-movement work Hungarian Dance No. 5. The program continues with three exceptional performances by PROJECT Trio both with the orchestra and on their own, including Fast and Random Roads – two works composed by its own members – and an unusual take on J. S. Bach’s Bourrée from Suite in E Minor for Lute. The first movement of Israeli composer Avner Dorman’s rhythmically vigorous Spices, Perfumes, Toxins! continues the second half of the program, featuring Eric Goldberg and Shuya Gong, winners of the CSO Young Artist Competition in 2010, 2011 and 2012, on marimba and other percussion instruments. The concert culminates with Igor Stravinsky’s regal and soaring Firebird Suite. Single tickets range from $40-$50 for concerts at Wentz Concert Hall and $26-$50 for concerts at Symphony Center, with special $10 pricing available for students. Tickets can be purchased by calling the Chicago Sinfonietta at 312-236-3681 ext. 2 or online at www.chicagosinfonietta.org. PROJECT Trio, with Greg Pattillo (flute), Eric Stephenson (cello) and Peter Seymour (bass), is pushing the boundaries of classical music with a high-octane mix of jazz, hip-hop and rock. Hailed for their “wide appeal, subversive humor and first-rate playing” by the Wall Street Journal, the Trio performs over 70 concerts a year, playing to fans of all ages in venues around the world. Highlights of the Trio’s current season include concerts with the Charlotte Symphony, Los Angeles Chamber Orchestra, Milwaukee Symphony, New Jersey Symphony, Walla Walla Symphony and the Britt Festival. Internationally, they will make their second tour of Germanyand their first tour of the former Soviet Union as part of American Music Abroad sponsored by the US Department of State. The Trio is dedicated to arts education, inspiring a whole new generation of concert-going music lovers. They are in their second year of residency with the Los Angeles Chamber Orchestra as Family Concert Artists in Residence. For more information on PROJECT Trio visit www.projecttrio.com. 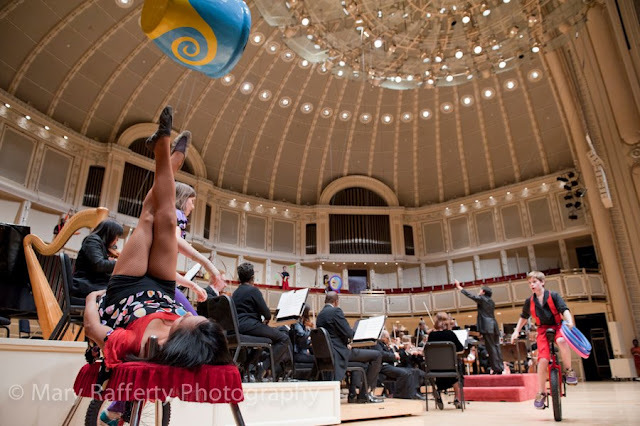 Eric Goldberg and Shuya Gong are members of the Chicago Symphony Orchestra’s Percussion Scholarship Group directed by CSO percussionist Patricia Dash and Lyric Opera of Chicago percussionist Douglas Waddell. As members of the Scholarship Group ensemble, Goldberg and Gong have performed at the Percussive Arts Society International Convention and the League of American Orchestras National Conference and have also been featured on the National Public Radio show From the Top and the Introductions radio show on WFMT. The Group performs twice annually at Chicago’s Symphony Center and has given additional Symphony Centerconcerts in conjunction with the CSO Youth in Music Festival. Goldberg and Gong are both juniors at Chicago’s Whitney M. Young Magnet High School where they are members of the Advanced Band and Philharmonic Orchestra. For 25 years, the Chicago Sinfonietta has pushed artistic and social boundaries to provide an alternative way of hearing, seeing and thinking about a symphony orchestra. Each concert experience fuses inventive new works from a diverse array of voices with classical masterworks to entertain, transform and inspire. The Chicago Sinfonietta has a proud history of having enriched the cultural, educational, and social quality of life in Chicago. Under the guidance of Founding Music Director Paul Freeman, the orchestra has performed at the highest artistic level since 1987. Mei-Ann Chen succeeded Paul Freeman as the Chicago Sinfonietta’s Music Director beginning with the 2011-12 season. 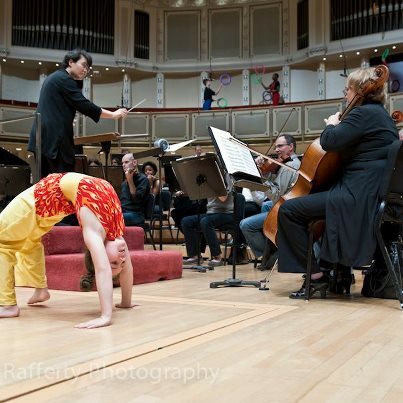 The Chicago Sinfonietta musicians truly represent the city’s rich cultural landscape and continue to fulfill the orchestra’s mission of Musical Excellence through Diversity™. The Sinfonietta was recently honored with two national awards for excellence from the League of American Orchestras, one for adventurous programming and one recognizing Maestro Chen with the Helen M. Thompson Award for an Emerging Music Director. Mei-Ann Chen, also Music Director of the Memphis Symphony Orchestra, has appeared with symphonies all over the country and the world, include the symphonies of Alabama, Atlanta, Baltimore, Chicago, Colorado, Columbus, Edmonton (Canada), Florida, Fort Worth, Honolulu, National (Washington, D.C.), Oregon, Pacific, Phoenix, Princeton, Seattle, Toronto, and the Grand Teton Festival Orchestra. The first woman to win the Malko Competition (2005), Chen has served as Assistant Conductor of the Oregon Symphony, the Atlanta Symphony and the Baltimore Symphony. Born in Taiwan, Chen has lived in the United States since 1989. She was the first student in New England Conservatory’s history to receive master’s degrees simultaneously in both violin and conducting. 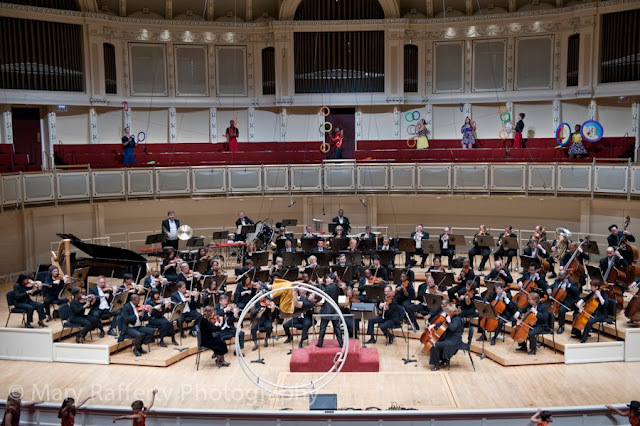 The Chicago Sinfonietta thanks Supporting Season Sponsor Blue Cross Blue Shield of Illinois, Lead West Suburban Sponsor BP, and Lead Media Sponsor Chicago Sun-Times Media. 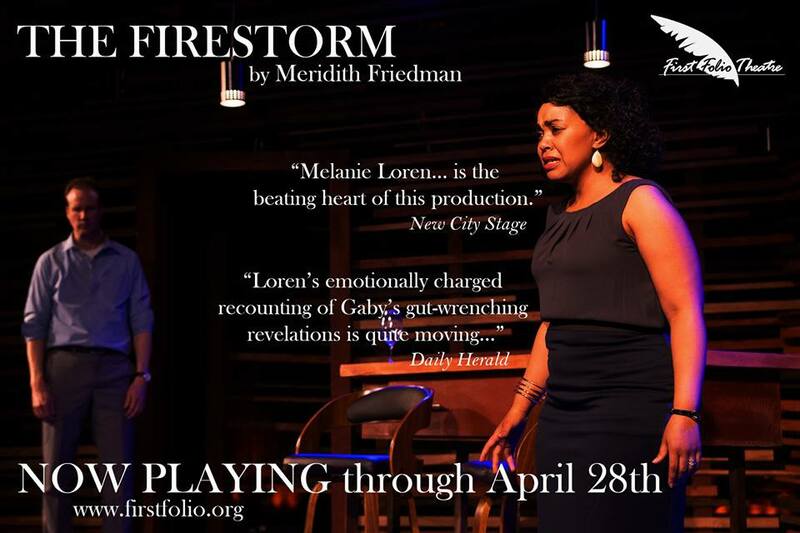 Additional thanks to Opening Night Sponsor JP Morgan Chase and the Elizabeth F. Cheney Foundation. Support for Wentz Concert Hall performances provided by the Hinsdale Center for the Arts and Naperville’s Special Events and Cultural Amenities Fund. Additional media support provided byChicago Magazine, ABC-7 Chicago, WFMT, WBEZ, WDCB, Arte y Vida Chicago, Today’s Chicago Woman, Naperville Sun and Naperville Magazine. Southwest Airlines is the Official Airline of the Chicago Sinfonietta. Fairmont Chicago Millennium Park and Hotel Arista in Naperville are the Official Hotels of the Chicago Sinfonietta. 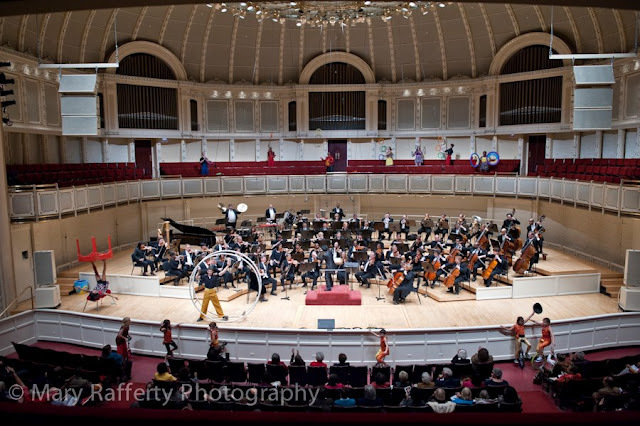 For more information on the Chicago Sinfonietta please visit their main site here. For more information on CircEsteem, click here. 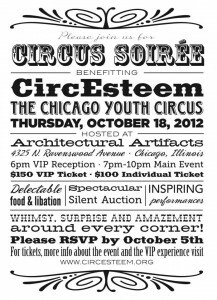 CircEsteem’s Circus Soiree is coming up fast. Tickets are flying like aerial artists!! Get yours before they sell out! If you can't make it the 18th, you can still help out with a donation right here.